Compassion Feminised Cannabis seeds By Dutch Passion are a CBD rich, Sativa Dominant strain that was developed by crossing a Nepalese variety with an un-named Sativa. 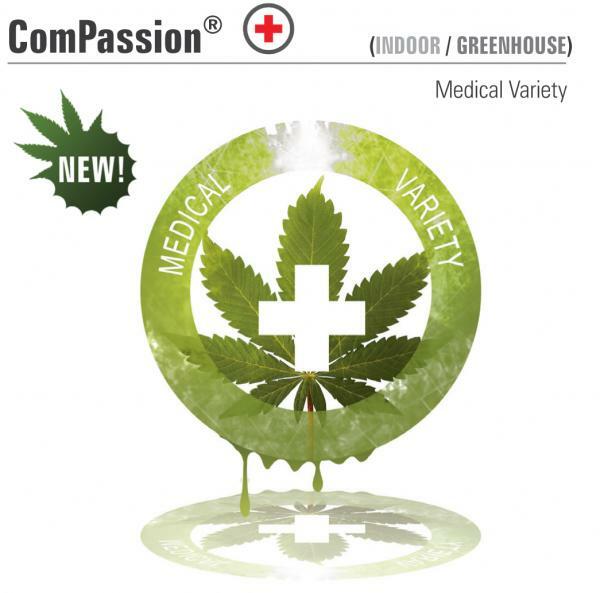 Compassion Feminised is the first CBD rich cannabis variety that Dutch Passion have bred independently and it has become a very important medical variety. This Strain offers a more relaxed experience allowing the user to function well and benefit from the medicinal qualities without feeling too high. These feminised cannabis seeds grow best indoors.